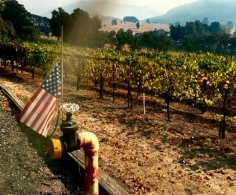 The Northern California Wildfires of October 2017 affected people from all walks of life throughout our beautiful wine country. Sixteen of our own winery employees. Dozens of firefighters and first responders. A tasting room associate, a marketing manager, a bottling line supervisor. A gallery owner, a restaurant server, a graphic designer. Delivery drivers, winemakers and executives. These are some who lost everything or have been displaced on a long-term basis. Since the first day of the fires, we have been determined to help in a simple and direct way—by putting gift cards into their hands for basic necessities. Although the fires are over, the wineries, hotels and restaurants are open, and the resilient landscape begins to recover, the disruption to lives will continue for months to come. Through your generous tax-deductible donations, we are able to continue to support fire victims in our community during the rebuilding process. New names come to us daily, and we continue to send gift cards daily—no paperwork, no red tape—to help ease the burden just a bit. Enjoying a bottle of Napa, Sonoma or Mendocino wine, visiting a winery or restaurant or spending a few days experiencing all wine country has to offer helps too! 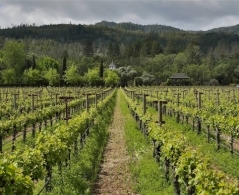 The stunning experience of Napa and Sonoma is supported by an entire hospitality industry that calls wine country home. Despite losing everything in the Northern California fires, our employees, friends, colleagues and families have come together to help each other rebuild. Beginning right after the fires, we distributed close to $50,000 in gift cards to employees, friends and neighbors who lost their homes or have been long-term displaced. We continue to answer requests daily from those in our community in need. The effort needs you more than ever and we hope you will consider supporting families in need of basic assistance as they transition to new homes. Virtually 100% of initial funds raised so far will be distributed by the end of 2017. Because rebuilding doesn't end there, we are continuing our campaign through 2018, with a portion of the purchase of our wines giving back at retail. Combined with your donations, Heart of the Vine will continue to assist those in need.